Kate Marker and her dedicated staff offer a full range of design services and a carefully curated studio in Barrington, Illinois. Her keen eye for color, pattern and understated glamour is reflected in every home she designs. We are delighted to share some of our favorite projects from Kate Marker Interiors with you this week – each one more inspiring than the last! A fresh mix of metals and neutral palette make this kitchen an inviting place to cook, dine and gather. 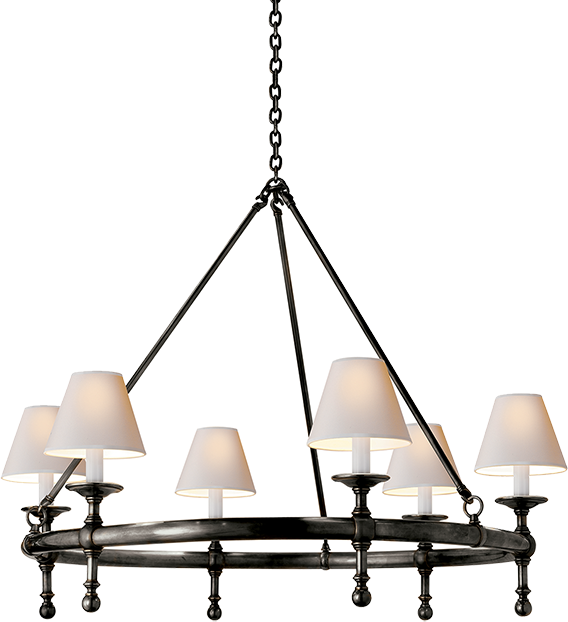 The industrial style pendants and linear fixture above the dining table add modern appeal. The kitchen and dining area opens effortlessly into the living room. 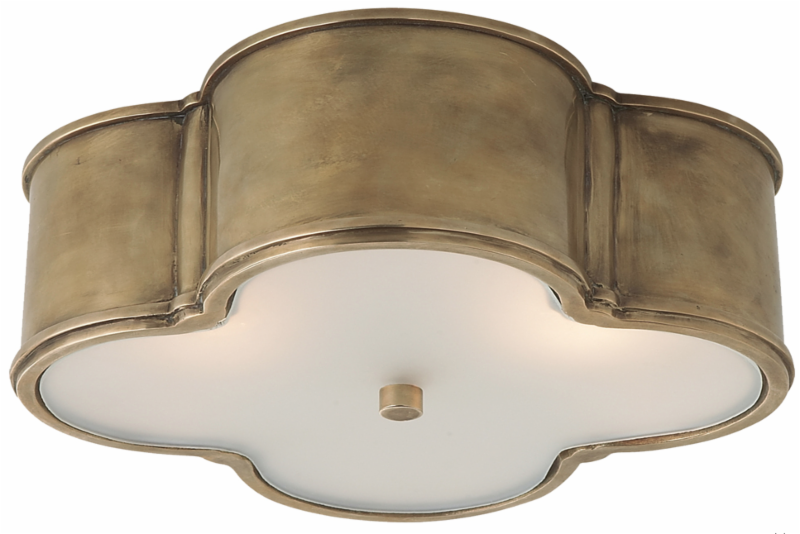 Bronze fixtures with clean lines add warmth and interest to the space. This kitchen demonstrates one of the beautiful benefits of polished nickel fixtures: they reflect natural light, making your home brighter even when they are not lit! Kate achieved the luxe, layered look of the formal dining room with embroidered wall coverings, velvet upholstered chairs and an eye-catching quartz chandelier. Kate selected an eclectic mix of furnishings and accessories in tranquil tones for the airy living room. 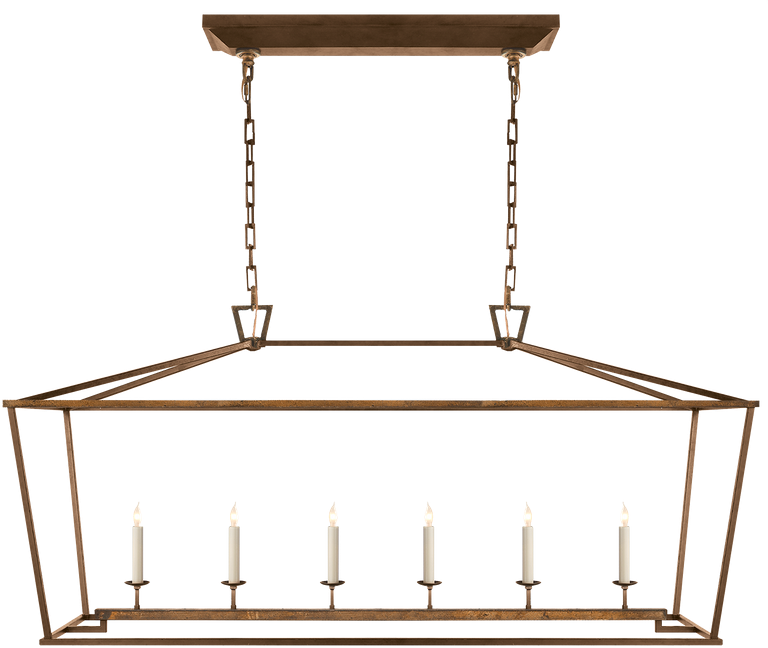 Elegant ceiling molding frames the canopies of gilded lanterns overhead. The rich tones and textures of the island and oversized hood stand out in this all-white kitchen. 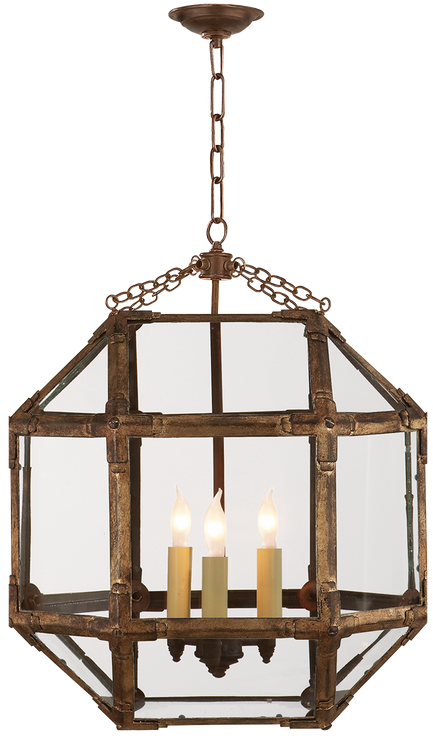 Classic bell lanterns add a subtle country-home feel. All photos courtesy of Stoffer Photography and Kate Marker Interiors. Shop our entire collection online or in any of our showrooms. You inspired us in 2015. Today, we revisit some of the hottest projects from the past year as seen on Instagram. Shop these looks and get inspired for the year ahead! Share your photos for a chance to be featured! Every November, Holiday House NYC showcases top interior designers in the historic Academy Mansion to raise funds for breast cancer research and awareness in the design industry. We were thrilled to provide the lighting for two of the stunning spaces this year and support such an important cause! Get inspired and shop the pieces selected by White Webb and Archives ID. Frank Webb and Matthew White of White Webb made an unforgettable first impression in the grand foyer of this year’s Holiday House. The centerpiece, an 11-foot-tall bronze of Apollo, is surrounded by rich textures and alluring brass light fixtures. Photography by Marco Ricca. Archives ID principal designer Alla Akimova Harrington used a palette inspired by desert sand and blue sky in the grand mezzanine, which she titled “Weekend at Burning Man.” Contemporary art and accents in golden hues warmed the curved staircase and hall. The pieces you’ve been eyeing in our new product preview have finally arrived! These highly-anticipated items from some of our top designer collections are now in stock and ready to ship. Shop this month’s Hot List to be among the first to own these trend-setting pieces! Shop the entire collection online or in any of our showrooms. This fall, Traditional Home Magazine opened its fourth annual Napa Valley Designer Showhouse to benefit the Napa Valley Film Festival. The “Randolph Street Revival” consists of three historic properties in downtown Napa, where visitors can admire the work of more than 20 talented designers. Today we will be featuring two of the properties: a 1935 Tudor Revival home of renowned Napa winemaker, Drew Neiman, and the guest cottage of the historic Inn on Randolph. 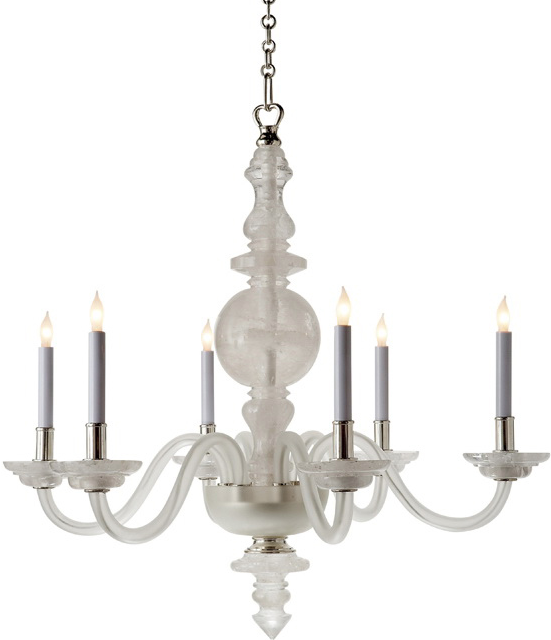 Get inspired and shop the lighting chosen by the designers in a few of our favorite spaces! Sunday, November 15, on Randolph Street in Napa’s historic downtown area. First up is 367 Randolph Street: an 1880’s Victorian-style cottage, now home to newlyweds Paul and Carlisle Engelhardt. Get inspired by this beautifully restored property and shop the lighting chosen by the designers in a few of our favorite rooms! Stay tuned for PART 2 next week featuring a winemaker’s Tudor Revival and the redesigned Inn on Randolph! Portable lamps make great gifts for the people who light up your life. Get inspired by these Instagram snaps of giftable pieces by our talented clients and followers. All featured items in stock & ready to ship! It’s time to start planning your home decor for the holiday season! Get inspired by some of our favorite festive spaces and deck the halls with lighting you’ll love all year round. We had the utmost pleasure of hosting designer Aerin Lauder for a book singing in our Greenwich showroom this month. Special thanks to Connecticut Cottages & Gardens and to everyone who joined us to celebrate Beauty at Home! 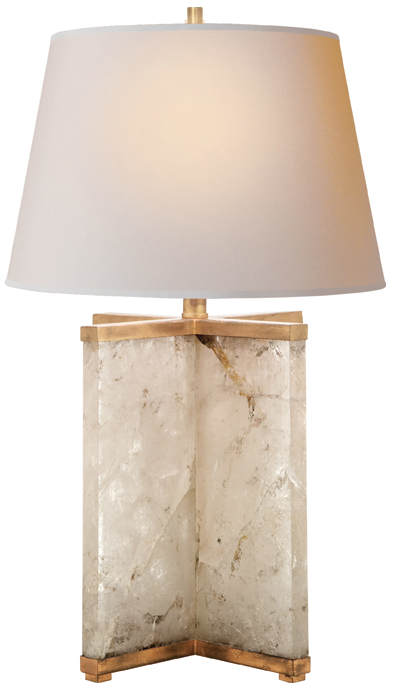 Shop the AERIN lighting collection online or in any of our showrooms. Take it from the experts! This week, we asked our design-loving staff to name their favorite pieces. Shop our picks and as always, enjoy free standard shipping on all orders within the continental US! Over the past decade, Ashley Goforth has become one of Houston’s most influential designers. Her key principles are simple: a neutral color palette, a mix of traditional and contemporary furnishings and an emphasis on the relationship of textures and shapes. Our Houston showroom has had the pleasure of working with Ashley and her outstanding team for several years, and we are thrilled to share her work in our client spotlight this month! CL: What do you look for when you choose lighting for a project? AG: Whenever I start selecting lighting for a project, I take into account two things: the type of material needed to balance of the other textures in a space, and the scale. I like large scale lighting as it can really make statement! 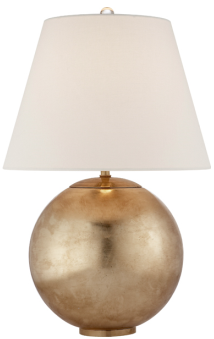 CL: The Hargett Table Lamp is practically your signature! What do you love about this piece? 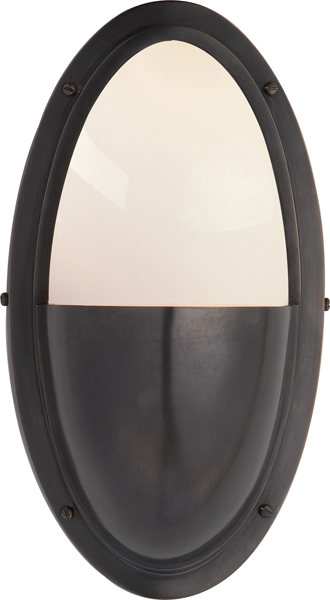 AG: I love the Hargett lamp! 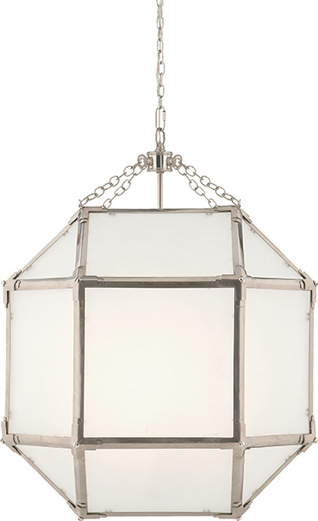 It is the perfect size, comes in a variety of finishes and is adjustable. It is just contemporary enough without being plain and soft enough to blend into any traditional interior. And the coolie shade doesn’t hurt – it gives it a stylish twist. CL: Our Houston staff adores working with you! Have any pieces caught your eye in the showroom recently? Something you’d like to use in a future project? 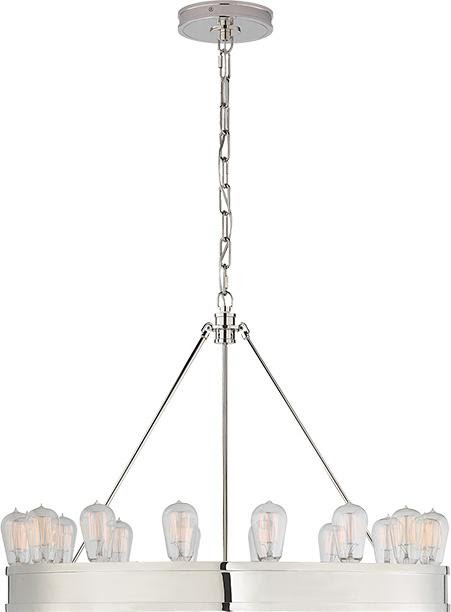 AG:I really like the Robinson chandelier. It has such a pretty silhouette, and anything with touches of gold dresses up a space. I am also excited to start incorporating Kelly Wearstler designs into my projects. They are innovative and use interesting materials. Follow Ashley Goforth on Instagram and Pinterest for more inspiration! Sponsoring the Coastal Living Showhouse is a highlight of every year for us, and this year we get to do it twice! The magazine tapped Baily McCarthy, designer and founder of Biscuit Home to design the 2015 showhouse at Cinnamon Shore; a cozy resort off the coast of Corpus Christi, Texas. Shop the look from some of our favorite spaces and see the entire home in the November issue of Coastal Living! The Coastal Living Showhouse at Cinnamon Shore will be open to the public through November 29th, 2015. Plan your visit and purchase tickets here!